Maybe it was just a pot of jambalaya, or maybe the calm before a storm, but by all accounts Wednesday night was a positive step on the road back for Jimmy’s Music Club — about 30 supporters, neighbors and city officials all sharing a bite to eat and some casual conversation before heading into a week that could bring a formal operating agreement and approval from the city to reopen. Jimmy Anselmo and the club’s new operators threw the club’s doors open Wednesday evening for an open house that was well attended by many of those involved in the complicated set of decisions that will determine with the venue can reopen. Deacon John Moore, president of the New Orleans Musicians’ Union and a stalwart Jimmy’s supporter was there. So, too, were members of the Carrollton-Riverbend Neighborhood Association and the nearby Maple Area Residents Inc. And two staff members with Councilwoman Susan Guidry’s office used the evening as an opportunity for an on-site visit with Anselmo. The club owners and the neighbors are meeting Sunday in hopes of working out a good-neighbor agreement, and the formal request for permission to sell alcohol at the club is scheduled to go before the City Council the following Thursday, July 25. Anselmo met privately again with Guidry’s staff on Tuesday, and all sides are now waiting on the outcome of Sunday’s negotiations. “Both the mayor’s office and the councilwoman have said a good-neighbor agreement is required in order for this to go forward, so I’d say it has bearing,” said Kelly Butler, who handles land-use matters in Guidry’s office. Though a number of issues remain unresolved — regarding noise control, security and particularly the age limit of the club’s patrons — neighbors seem optimistic, especially as the meeting will be run by professional mediators from Community Mediation Services. The club is seeking to allow customers aged 18 and up, but other venues, such as Oak wine bar, have voluntarily agreed to a 21-and-up age limit, noted Carrollton-Riverbend board member Betty DiMarco. The main concern, she said, is preventing a repeat of the unruly out-of-doors conduct that surrounded Anselmo’s previous tenant, The Frat House. The city planning staff is recommending approval of the Jimmy’s application, with a number of conditions attached: Soundproofing should ensure that no music is audible outside, performances must end by 2 a.m., no loitering or drinking should be allowed in front of the bar and go-cups must have a Jimmy’s logo on them (to track litter). An age limit is not mentioned in the staff report, though the City Council can add additional requirements. Michael Tifft, attorney for Jimmy’s, also expressed a cautious optimism that the club could be nearing the end of its legal journey. “If we can get this done on Sunday, hopefully we’ll be all done on Thursday the 25th,” Tifft said, referring to the City Council meeting. DiMarco noted that she has lived in the neighborhood since before Jimmy’s opened in the 1970s, and attended numerous shows there during its heydey. As she rattled off a number of other clubs around the neighborhood throughout the year, she said she felt like an agreement will be reached Sunday. “It’s always been a neighborhood with bars,” DiMarco said. The CRNA Board has already voted that a 21+ age limit would not be part of the GNA. This is recorded in the minutes and should not be being constantly brought up as if it were an issue. In discussion, the overwhelming majority of board members expressed that since the laws of the state and city allow 18+ entry, that CRNA has no place demanding otherwise nor would it be responsible to place a business at an unfair disadvantage along these lines since their competitors would not be so limited. The 21+ age limit should always be brought up. If the CRNA Board voted that it would not be part of the GNA, then the CRNA should revisited it and make it happen. Is alcohol as safe as ice cream and French Frys? No. it’s not. Hence, those in favor of alcohol or half in favor of alcohol are hypocritical. By the way, why do you need alcohol to say hello to a stranger, attractive girl/boy? Why can’t you just say hello and have a introduction conversation? AhContraire, you are one of my favorite commentators on this website. A bit monotonous, but you never fail to deliver. Seriously, what is at the root of your anti-alcohol obsession? Are you a recovering drunk? AH Contraire, you had the chance to show up on Wednesday and state why Jimmy’s was a bad idea. As usual, you just make comments behind your keyboard. You have one last chance to voice your demented opinion at the ABO hearing, if you don’t show up, then SHUT UP. It just shows you are a complete fraud and a loser. As a fellow board member of CRNA who was at the executive meeting you are referencing, I hereby ask that you refrain from making statements as a representative of CRNA. In particular the board did not vote on this as can be seen in the Executive Meeting notes that Cher Oats recorded, and was sent to the board by Martin Huber by email on July 10, 2013. The board purposely left this open so it could be discussed in mediation. So is this the same Jimmy’s I went to with my buddies in 2003 when we were 18 year old college freshmen? If so, the reason we went is because it was their “old stomping grounds” from when they were high school sophomores, juniors, and seniors. 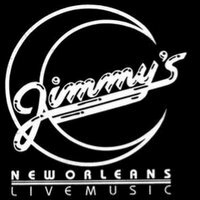 I’m not a native New Orleanian, so I’m not familiar with the long history of Jimmy’s that apparently includes a noteworthy role in the local music scene. But at least since I’ve been aware of Jimmy’s, that bar has not only been tolerant of, but known for allowing underage entry and drinking. If I were a neighbor I would be skeptical too. You can only put up with so much BS associated with novice 16-20 year old imbibers. I sold the business in 1999, so the answer is no, it’s not the same ‘Jimmy’s’ that was in operation in 2003. You are right, you are not a native New Orleanian so have no idea of the musical history of Jimmy’s when I owned it. That’s a shame…. And NOPD can’t even police all the ABOs causing problems right now. Lovely. PS – I was at the club in 80’s. It *was* a scene *then*. Jimmy’s has a rich musical heritage, and means alot to those of us who grew up there in the late 70’s and early 80’s. It’s a cultural heritage that needs to be continued in the city of New Orleans. Jimmy always provided an outlet for new and growing bands to preform and develop their skills. It’s not about drinking or underage drinking… It’s about art and music and a place for that to happen again. Wake up!! Jimmy is all about supporting the music…. Deacon John rocks. I’m glad people are standing up to the weird bullying of the NIMBY neighbors trying to destroy our music and neighborhood bar culture, and thus ultimately our culture itself, for their suburban fantasies. The vast majority of New Orleanians are pulling for Jimmy’s, and even the most uptight suburbanist member of our City Council seems to be realizing this. I’m glad to see this seems to be working itself out in a rational way. If you’re old enough to vote and die in a war you’re damn old enough to drink!